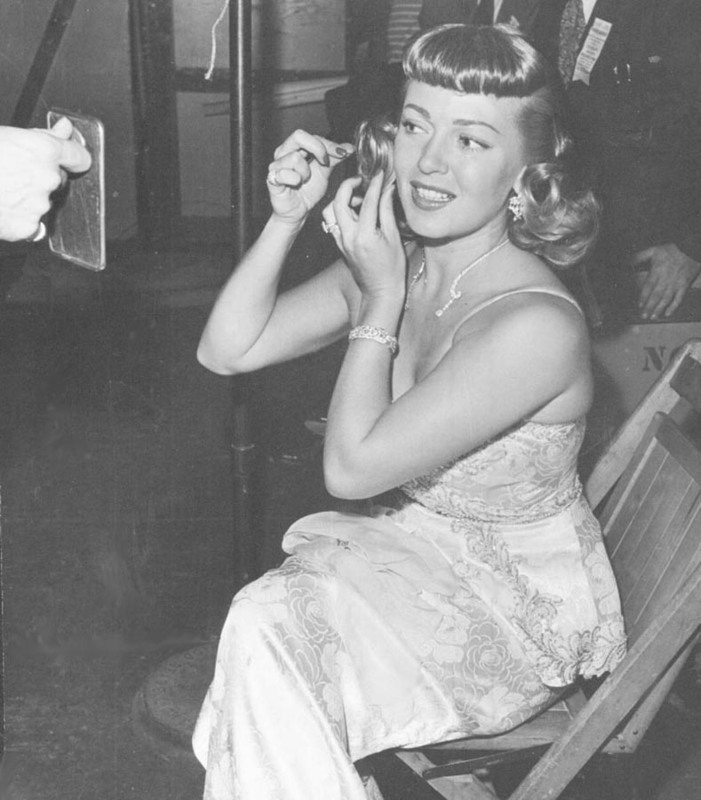 71 Years ago the film “Green Dolphin Street” with Lana Turner was released. 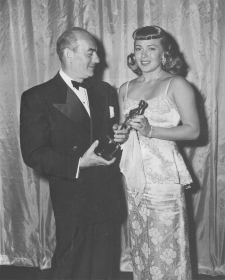 The 19th Academy Awards were presented at the Shrine Auditorium, Los Angeles, Ca, USA. 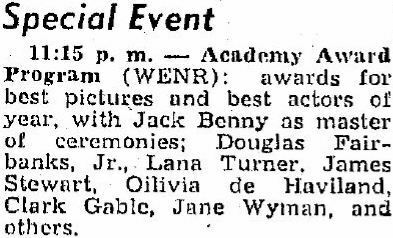 The host was Jack Benny. 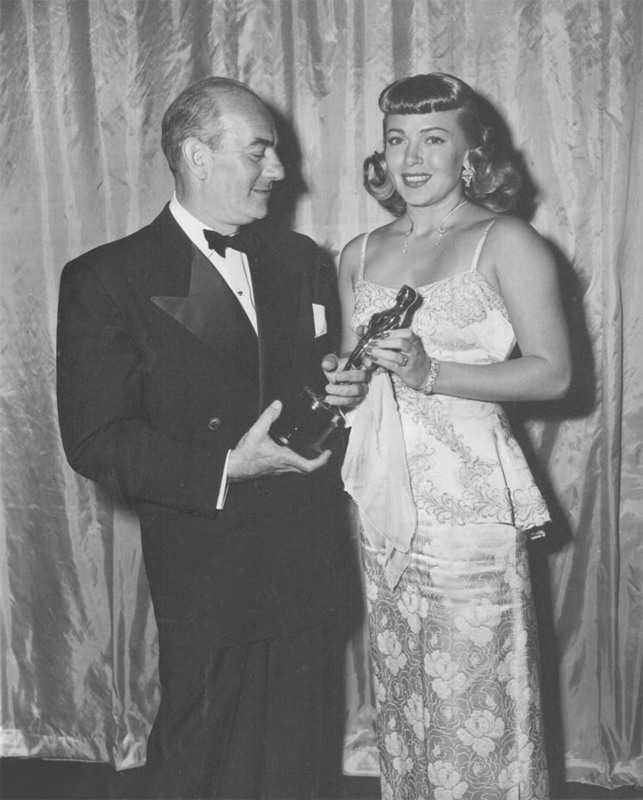 The 19th Academy Awards continued a trend through the late-1940s of the Oscar voters honoring films about contemporary social issues. “The Best Years of Our Lives” concerns the lives of three returning veterans from three branches of military service as they adjust to life on the home front after World War II. The Academy awarded Harold Russell–a World War II veteran who had lost both hands in the war and who, despite not being an actor, portrayed Homer Parrish in “The Best Years of Our Lives”–an Honorary Academy Award for “bringing hope and courage to his fellow veterans,” believing he would not win the Best Supporting Actor award for which he was nominated. 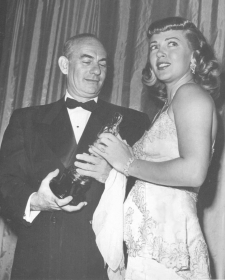 As it happened, he did win the competitive award, making him the only person to receive two Oscars for the same performance. 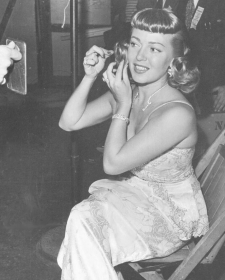 Lana Turner presented the Best Scoring of a Musical Picture and the Best Music Score of a Dramatic or Comedy Picture.